It’s the school holidays! Woo hoo! For me it doesn’t make too much difference as Alex isn’t yet at school, but working at an after school kids club it does mean I get some extra time to myself and to spend with Alex during the half term break. I feel like there’s only so much you can do during the holidays without breaking the bank or repeating activities over and over again! 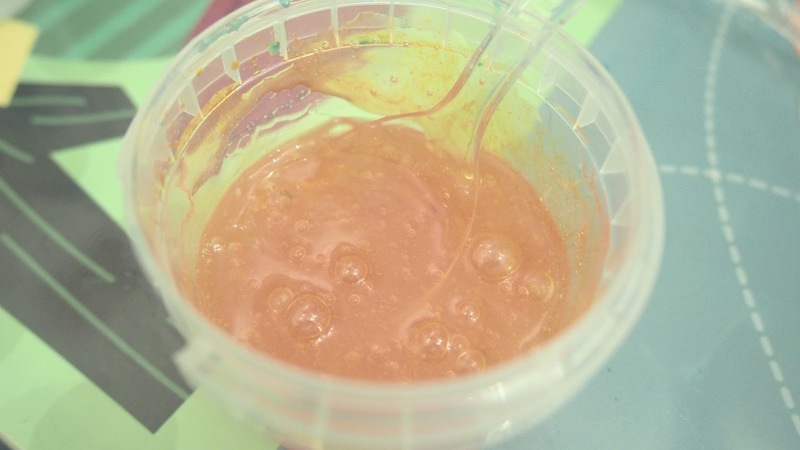 And so, I decided I would have a go at making some slime with Alex! A fun activity with only a few simple ingredients – what could go wrong! But oh boy did it go wrong! I originally picked up my recipe from a YouTube channel I started watching while I was pregnant called WhatsUpMoms. 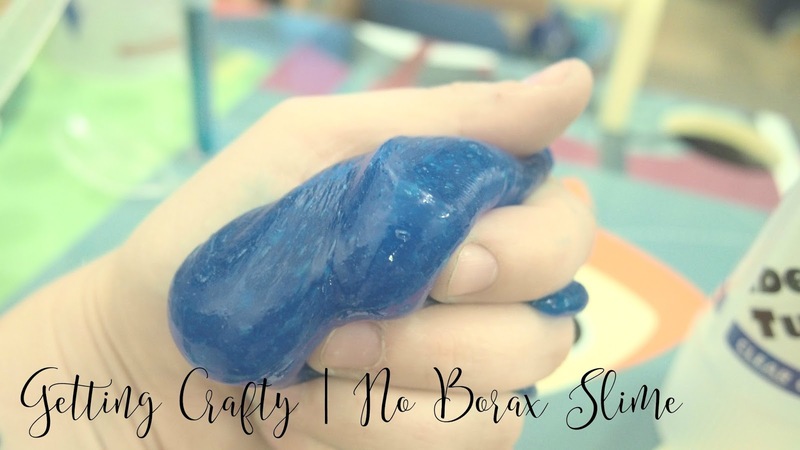 The lovely Brooke had done a video on slime made without Borax, and so I thought it would be cool to give it a try! Tim looked up the ingredients on their blog – here – and we set about pulling all the different things we needed together. 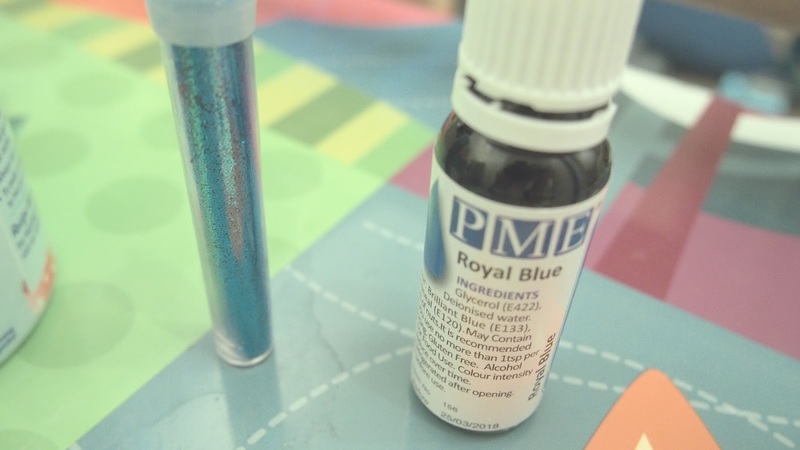 So, the recipes says that you need PVA glue, Baking Soda, Contact Solution, food/soap colouring and optional bits of fragrance oil, glitter and baby oil (I highly recommend the baby oil but I’ll explain why fully later). Attempt #1. Went terribly. It started off ok, we measured out 1/2 cup of glue, 1/2 a teaspoon of baking powder and a drop of colouring. Mix them together before adding the saline solution. Nothing. 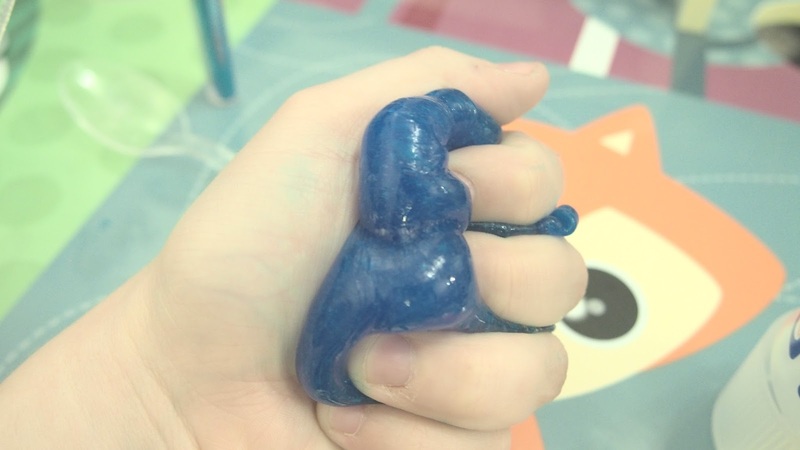 It literally was just a really runny, gluey, blue mixture. Cue major disappointment and feelings of failure. Attempt #2. Identical to the first. I thought maybe I hadn’t added enough baking powder or maybe I’d added the saline solution too quickly. But nope. Epic fail number 2! Attempt #3. We Tim realised that I had interpreted the UK equivalent of baking soda to be baking powder. Wrong. The UK equivalent is Bicarbonate of Soda. 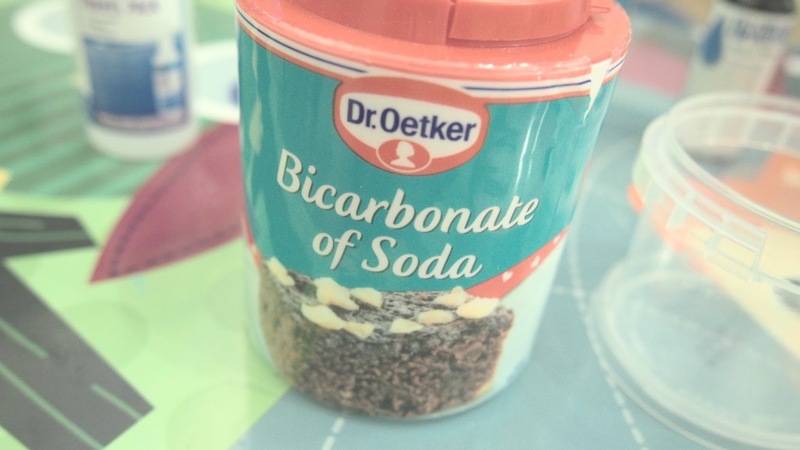 So we tried one more time, this time with bicarbonate of soda. 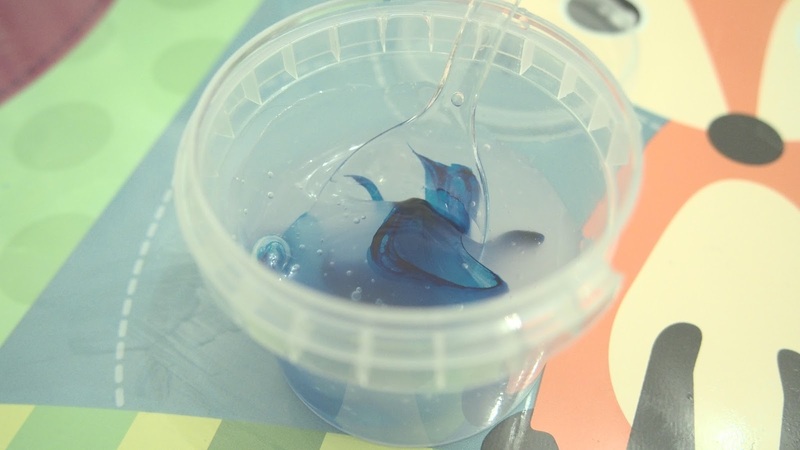 The only difference this made was that the solution fizzed before settling into a runny, gluey, blue mixture. Cue fail number 3. At this point I was starting to feel bitterly disappointed and wondered how I could get it so wrong. 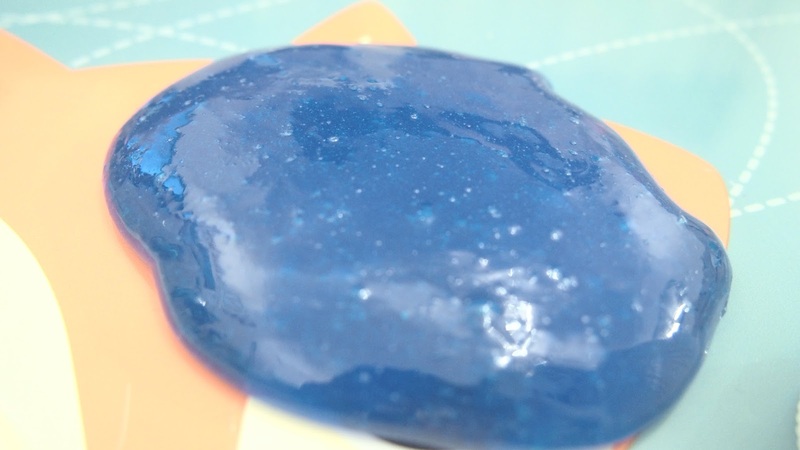 So we spent the best part of an hour and a half watching YouTube videos by various different people on how to make slime. After a while I started to realise something – if I had got the baking powder ingredient wrong, what if there was something else I had wrong too? 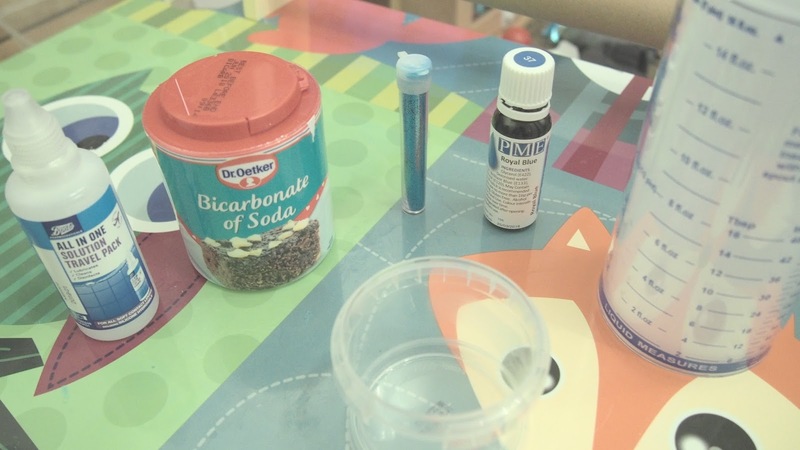 I did some googling and came across a blog post on Montessori Soul (read it here) which says that the contact solution must contain something called Boric Acid for the recipe to work. The only thing she does differently is to add shaving foam in at the end to make ‘fluffy slime’ (you don’t have to do that part). On to day 2. After dropping Alex at nursery for the afternoon, Tim and I headed off to Telford Town Centre to have a look for some more PVA glue, some more Bicarbonate of Soda and most importantly, some contact solution containing the elusive Boric Acid. 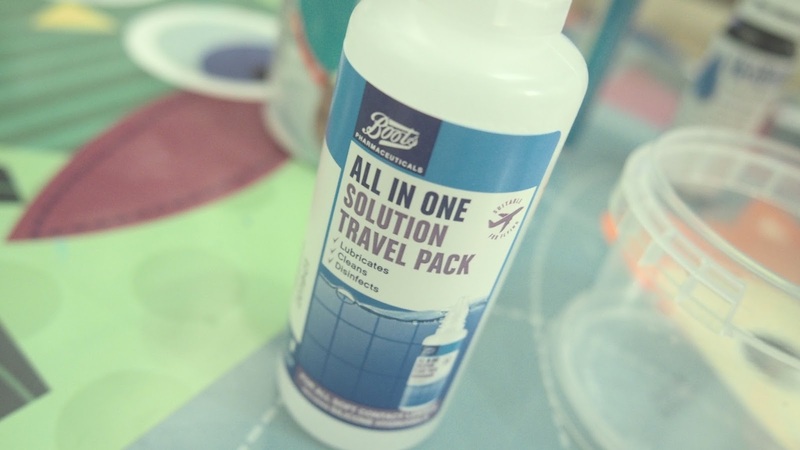 We got the Glue and Bicarbonate of Soda from Hobbycraft and the contact solution from boots. Contact solution is a lot more expensive than saline solution but as you only need a small amount, the travel size was more than enough. 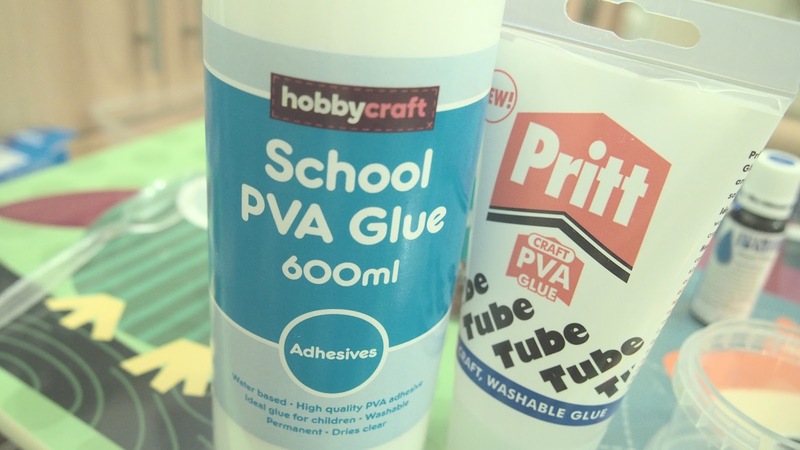 First, measure out 60ml of PVA glue into a container or bowl (clear works best in my opinion but white works just as well, it just comes out a different colour), then add a quarter of a teaspoon of bicarbonate of soda and mix well. Now add your food/soap colouring and any glitter you may want and mix again. Now for the fun bit! Add a few drops of contact solution to the mixture and it will start to react and gloop together (gloop is a technical term and it’s what I’m sticking with! ), then gradually add more until the mixture is not sticking to the sides of your container. Take out the mixture and place onto a clean surface. If the mixture is sticking to your hands, add a few more drops of contact solution to the mixture and knead in gently. 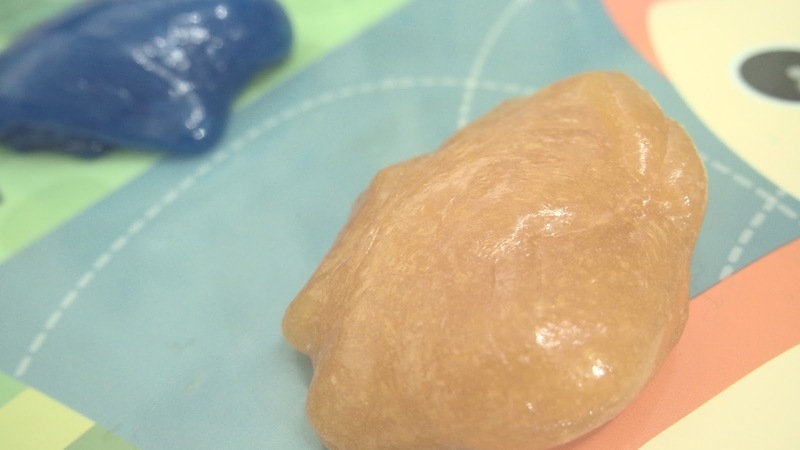 We had some small tupperware containers to store our slime in, and by adding a drop of baby oil to the container it stops the mixture from drying out. And, my favourite reason for using baby oil, it keeps your hands super soft after playing with it! 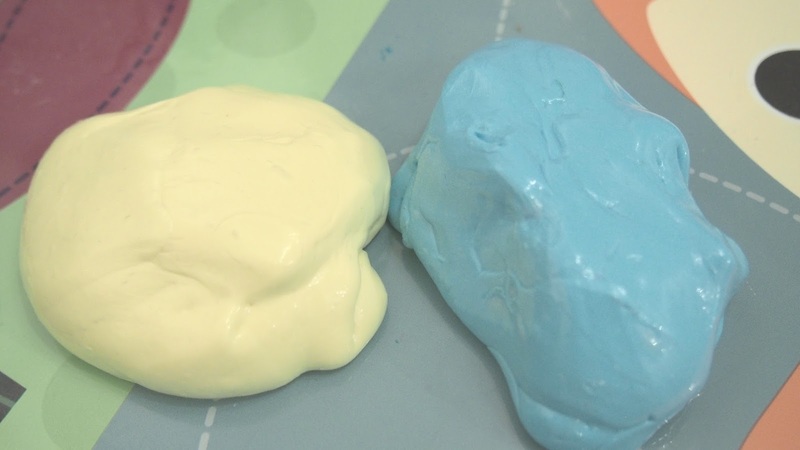 As you can see the colour differences between using clear PVA and white PVA is mad! I personally prefer the look of the clear glue but it is quite a bit more expensive than using the white! I’m so pleased with how this turned out in the end. All it took was some research into the right ingredients! 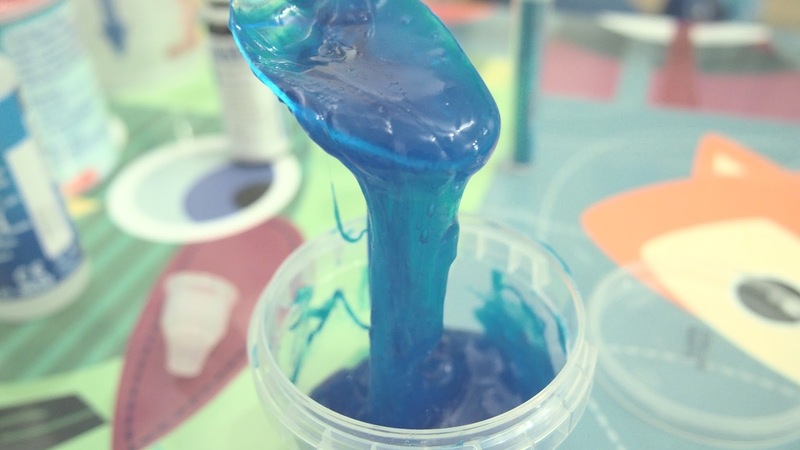 Have you made slime? How did yours turn out? Let me know in the comments!